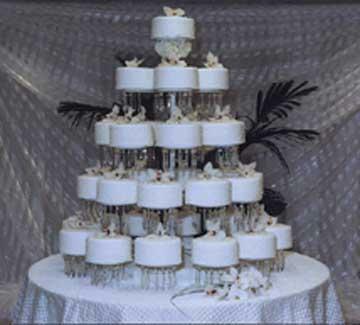 The Tiered Cake Stand includes 33 arms for individual cakes. Each cake must sit on a plate that is at least 6"diameter. Crystals not included in price.